e Tribez is proud to announce the opening of our new London office! As part of our continued expansion, we’ve opened a new office in the UK, to be headed up by our new Director of Sales, Andrew Jackson. Andrew brings a wealth of industry experience to eTribez, including having worked for the BBC, where he developed interactive solutions for several programs and series; and Endemol Shine, where he was Head of Viewer Participation and worked on shows such as Big Brother and Deal or No Deal. 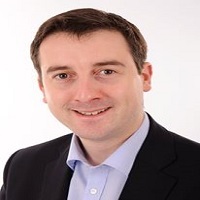 Andrew is delighted to be a part of eTribez, as we establish our foothold in the UK! 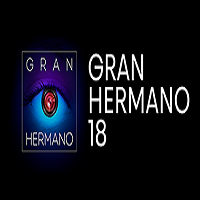 EndemolShine Iberia and eTribez have teamed up for online casting for Big Brother Spain 18 (Gran Hermano 18). Airing on the Telecinco network, the next season of the Spanish-language version of Big Brother is looking for contestants with strong determination and will, to come in and show their worth. The show features the cast of contestants voting each other out, until the last person standing takes the grand prize. The production team will be looking for applicants over the age of 18 across major cities in Spain, with the upcoming edition of the show expected to air this fall. For a look at the eTribez-powered casting link for the show, see: https://esgib.www.etribez.com/a/esgib/ghes/welcome. Who knew a cover competition could be so great?? With eTribez and Endemol Shine US (Lock and Key Productions) leading the way, casting has begun for an exciting new show called Best.Cover.Ever. Premiering exclusively on YouTube, today’s biggest artists – like Jason Derulo, Demi Lovato, Katy Perry, and the Backstreet Boys – are calling on applicants to cover their hit songs, with a chance for contestants to go to LA and join forces with their favorite music stars. With the help of host Ludacris, the show features famous musicians collaborating with contestants that enter by covering one of their songs. The eventual winner will get the opportunity to duet with established musical talent. For the eTribez-powered casting URL, see: https://thebestcoverever.com/. The opportunity has arrived for UK’s best amateur chefs to shine, as eTribez and Endemol Shine UK work together again for online casting for MasterChef UK Amateurs. Over the last several years, MasterChef has gone around the globe taking the best cooks to test their skills for discerning judges. 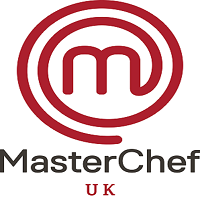 Airing on the BBC, this version will work off of the tremendous success of the MasterChef series, to help find the top amateur chefs in the UK. Competitors will face a difficult series of culinary challenges, from inventing dishes on the spot to cooking their own menu for some of the UK’s toughest food critics. The pressure will be on…and only the top chefs will survive. For a look at more on the show along with the eTribez-powered casting page, see: http://apply.masterchef.com/amateurs. Laaughter and tension, culinary delights and sideline coaching…it’s all on display on My Mom Cooks Better Than Yours. 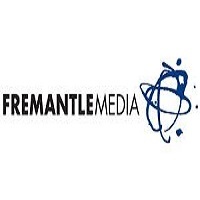 On the show, eTribez and FremantleMedia France team up to demonstrate full family dynamics, as two teams composed of a mom and her son or daughter join forces to create the perfect meal. On this French version of the fast-paced show, it turns out that the kids may not quite have inherited the ability to cook mom’s favorite dishes. With the clock ticking, contestants must listen carefully to their moms watching while they cook, and at the same time impress the judges in the hopes of winning the grand prize. For a look at more on the show along with the eTribez casting form, see: https://fmfr2.www.etribez.com/a/fmfr2/mmcbty/welcome.